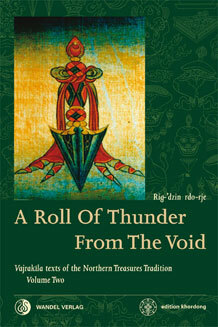 This important collection of teachings from the Northern Treasures Vajrakila cycle includes liturgical practice texts (sadhana) from the original treasure revelations, together with explanatory notes and commentaries by the 17th century master Padma ’phrin-las on how to take these practices into a closed retreat and employ them for the highest benefit of oneself and all living beings. Having become empowered in the mandala of Vajrakila by a master guru, trainees may use the skilful esoteric techniques, described herein, in order to develop a profound experiential certainty of the true nature of reality. These texts are manuals, designed to be studied by disciplined individuals who wish to train themselves in skilful altruism. They are traditional methods for overcoming the instincts of egoistic self-interest, allowing the mind to become focussed on the general welfare of the world, so that beneficial changes of great social value may be brought about in both thought and behaviour. Painstakingly researched and annotated, this volume includes English translations of eight important texts, together with much of the original Tibetan. Within the instructions for the preparation and protection of the retreat area are hitherto unpublished details of the means to suppress the various classes of afflicting demons (sri) that are potential causes of downfall for all tantric yogins. This is an ancient and vital aspect of vajrayana ritual practice that has been much neglected until now. You accomplished your practice in the forest around gYa’-ri. And you caught it with a vajra gesture. And the resulting blaze even dried up the lake. And the evil spirits [that they served] were annihilated. As the destroyer of Mara, you have no equal! Rig-’dzin rdo-rje (Martin Boord) studierte mit Lama Khamtrul Yeshe Dorje, Chhimed Rigdzin Rinpoche und Dudjom Rinpoche. An der Universität von London erhielt er den Doktortitel für seine Arbeit “The Cult Of The Deity Vajrakila.” Nun lebt er mit seiner Frau abgeschieden in Cotswolds und widmet sich dem Studium der Nördlichen Schätze. 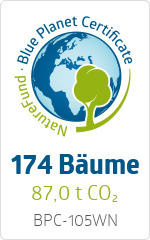 Weitere Informationen zu Martin Boord findet ihr hier. Vol.1 Gathering the Elements A detailed study of the Vajrakila tradition, looking at its origins, significance and lines of transmission, as well as a history of the Northern Treasures (Byang-gter) school and an overview of the approximately 200 available texts of Vajrakila that it maintains. This book is a new and completely revised edition of the study formerly published as The Cult of the Wrathful Deity Vajrakila, incorporating the latest research on the subject and freshly translated material. Vol.3 A Blaze of Fire in the Dark Rituals for fire sacrifice (homa), traditionally performed at the end of a retreat, and rites of empowerment (abhiseka).